Isn't social media wonderful? You can use it to chat about your day, discuss touchy topics and every once in a while we simply stumble across a page or post that rekindles our love for a certain topic or hobby we forgot we had. Around a year ago I was scrolling the 'explore' page on Instagram when a photo from 'inspiredtattooportraits' took my attention. 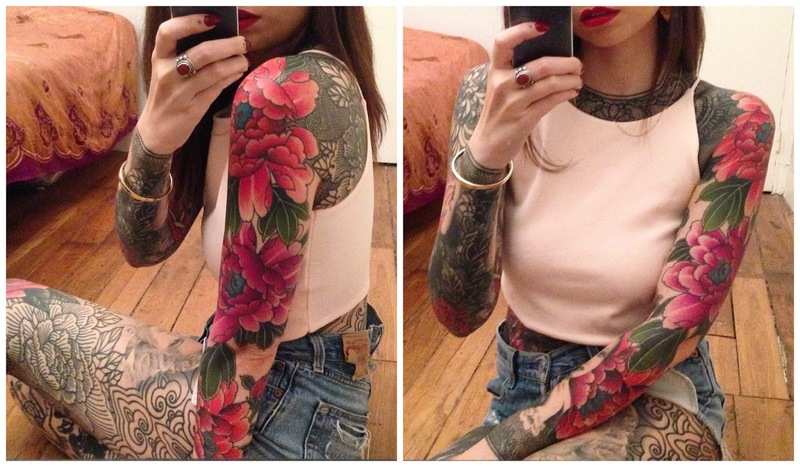 The account belongs to an amazing lady called Céline, a photographer and tattoo collector living in Paris. As part of my new blog series 'An Inkling' I had the chance to interview her and find out more about Céline. 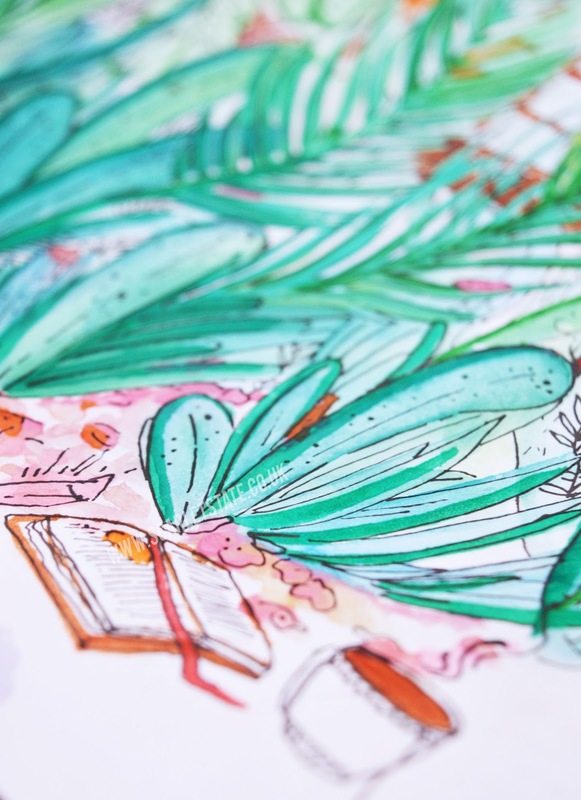 I should start by mentioning that 'An Inkling' will run every two weeks to a month and will feature interviews with artists, writers, personalities I find inspiring or interesting and hope that you will too! The reason I chose Céline to kickstart the series was because she is all-round captivating. From her timeless photographs (reminiscent of a book I have, full of tattoo photos taken in the 20's and 30's), her ability to capture the essence of a person in a photograph, her travels all over the world to her full body suit; the progress of which you can follow through Instagram (I've popped a link at the end). Where did your fascination with tattoos and photography begin? Well, I think everything comes from the way I was brought up by my parents... Fascination with tattoos is clearly linked with travelling the world from a very young age. I have been greatly influenced by Asian and African tribes. The body modifications, the jewellery, the style… so powerful. I took the plunge when I moved to the U.S for my studies. I started getting into tattoos and scarifications after spending time with incredibly inspiring people. My love for tattoos has been constantly growing since then. During our trips around the world my dad taught me analog photography. He has such a great eye and technique. He always pushed me to experiment new things and develop my creativity. I think it’s a medium where I can deeply express my sensitivity and I’m quite intuitive with it. 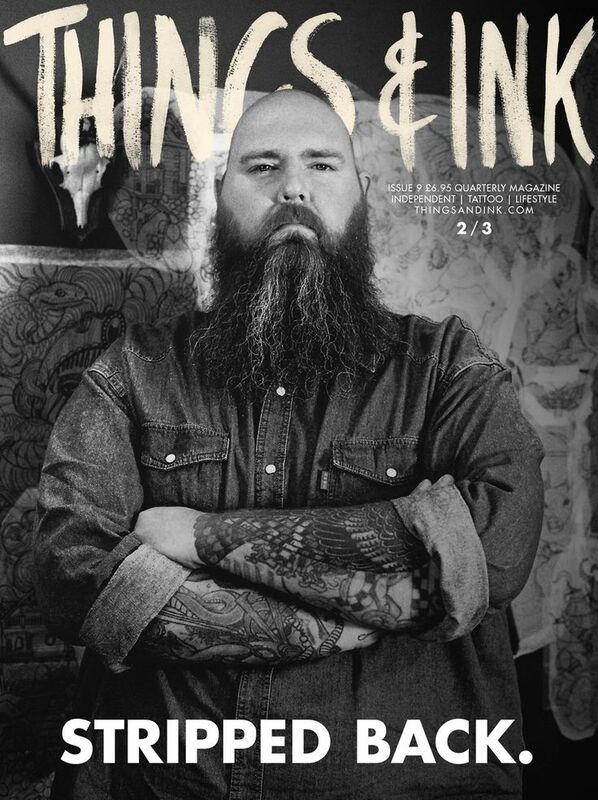 After working 2 years on my project 'Inspired : Tattoo Portraits' I had the chance to shoot a cover for Things & Ink magazine. You're currently in the process of getting a bodysuit by Guy le Tatooer, can you tell us more about this experience? I have been getting tattooed by Guy le Tatooer for a bit less than a 1.5 years now and it will probably take us a couple more years to finish the project. So far it’s been a powerful spiritual journey. Guy is such a force of nature. Spending time with him has definitely been a turning point in the way I perceive tattoos. He’s special. I always expect the unexpected with him. Many people still see tattoos as a 'thuggish', what are your thoughts on this? I’m not sure about that. I think people are more open minded about tattoos than ever and I can clearly see it from the reactions I get. When you are a heavily tattooed woman you don’t go unnoticed. People are usually very curious and amazed by my tattoos. And I’m always surprised to get that many positive comments. I think the media exposure has helped a lot getting rid of the negativity because people start seeing tattoos as something more accessible and definitely less scary than before. Has the way family and friends think of you changed since your bodysuit began, and does it matter to you? I think my tattoos didn’t change anything in the way my family or friends think of me simply because I’m still the same person. It’s just been kind of a shock for them to see me transform this way but they now understand where I’m going with it. I’m so much more than a fleshly sheath and it’s clear that my tattoos are just an expression of my personality. Let’s keep in mind that my whole life doesn’t revolve around tattoos and that I have many other interests. You seem to have travelled a lot! Where did you enjoy visiting the most? Does your travel inspire/influence your tattoos or work? Travelling so much made me who I am today and I guess influenced me on a lot of life choices. It opened my mind and pushed me to question myself a lot. What I learned during these 28 years of travelling is one of the most valuable knowledge I have. Finally, what is next for Inspired Tattoo Portraits? See more from Céline through her Instagram and website. Did you like this interview? Is there anyone you'd really like to know more about? Let me know!